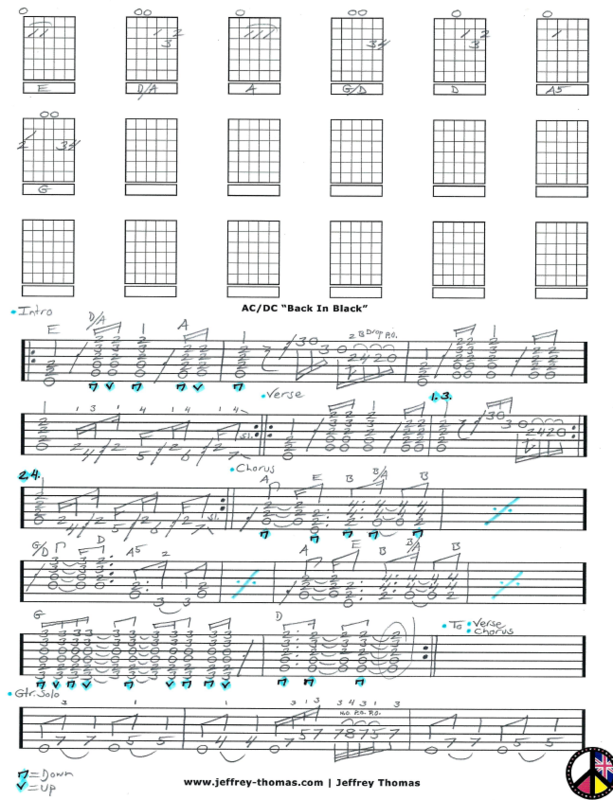 AC/DC Back In Black Free Guitar Tab by Jeffrey Thomas. I have page one completed so far showing the intro lick, verse, chorus and the first guitar solo. The tab follows the original recording so you will sound great. This is one of the most requested AC/DC tunes by my rock guitar students. Want the guitar tab for free? Just send in your email address using the form provided. Looking for online rock guitar lessons? Fill out the Schedule A Free Lesson form to set up your free Skype guitar lesson today. The album Back In Black has sold over 50 million copies worldwide! Make sure to check out more free online guitar lessons on my tab, video and blog pages.